Offering you a complete choice of products which include 8w soldering irons, 10w soldering irons, 15w soldering irons, 25w soldering irons, 30w soldering irons and 35w soldering irons. Capitalizing the skills of our professionals, we are offering a quality assured assortment of 8W Soldering Irons. 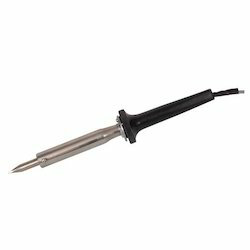 The Soldering Irons 8W is recommended amongst the clients for its sturdiness and reliability. These products are known for their safe use.The product is known for its availability in various sizes and designs. These products are designed as per changing requirements of the clients. Besides, one can get these products at market leading prices. With the assistance of our skilled professionals, we are presenting a quality assured assortment of 10W Soldering Irons . Our Soldering Irons 10W is safe to use. These products are tested for their quality before being introduced in the market.The offered range of product is manufactured by utilizing top grade basic material and advance technology by our competent experts. We assure our customers that the presented products are quality examined on quality parameters, in order to meet the customer’s requirements. 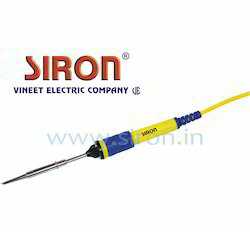 By utilizing skills of our adept workforce, we are offering a broad assortment of Leveraging on our experience, we manufacture of 15W Soldering Irons. 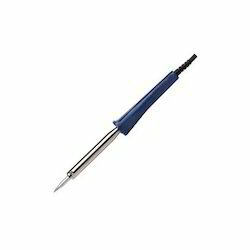 Owing to years of experience, we are offering a quality approved array of 25W Soldering Irons. 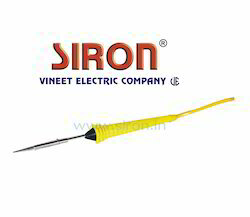 The Soldering Irons 25W we offer is made accordingly as per the requirements of the clients. Offered products are tested for their quality before being introduced in the market. With the help of our distinguished professionals, we have been able to bring forth high quality 30W Soldering Irons. We are a famous association that is occupied with offering of 35W Soldering Irons. 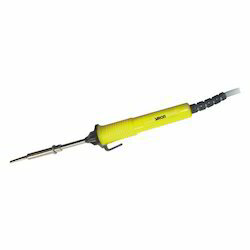 We are leading manufacturer of 50W Soldering Irons. With the support of our experts and sophisticated in-house facilities, we have been able to offer an 60W Soldering Irons. 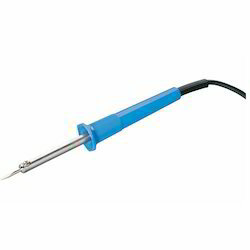 Automatic Soldering Iron are sophisticated equipment that is precision engineered and high quality. Our Soldering Irons (SRN75) offer options of rapid heat up, instant heat recovery and superior heat transmission in their applications. These are also available in digital mode and sufficiently cater to the needs of the users. 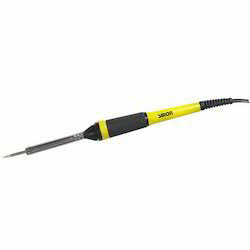 Soldering Irons are sophisticated equipment that is precision engineered and high quality. 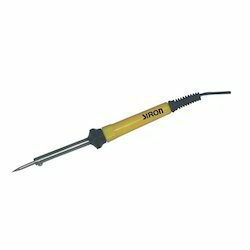 Our Soldering Irons (SRN125) offer options of rapid heat up, instant heat recovery and superior heat transmission in their applications. These are also available in digital mode and sufficiently cater to the needs of the users. 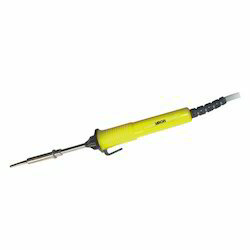 A Electrical Soldering Iron is a tool normally used for applying heat to two or more adjoining metal parts such that solder may melt and flow between those parts, binding them securely, conductively and hermetically.A soldering iron (SRN250) is composed of a heated metal tip and an insulated handle. Heating is often achieved electrically, by passing an electrical current (supplied through an electrical cord or battery cables) through the resistive material of a heating element. Some soldering irons heat up and cool down in a few seconds, while others may take several minutes. 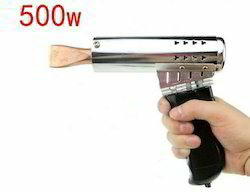 We are the manufacturer of Soldering Iron 500 Watts. Looking for Soldering Irons ?